Doncaster Council will continue to fund South Yorkshire Police to provide extra patrols around the town centre. Council bosses announced the scheme in September under growing pressure from grassroots campaigners who wanted authorities to tackle street begging, drug abuse and anti-social behaviour. Residents and business owners made their views heard at several public meetings where some claimed the situation was turning shoppers away from Doncaster. South Yorkshire Police Chf Insp Jayne Forrest said there has been some 2000, engagements, 46 stop and searches, over 100 arrests and six drug raids carried out since the start of September. The trial was due to finish at the end of the month but Mayor Ros Jones said the scheme, which is said to have helped 40 people off the streets and into accommodation, will continue until February 28, 2019. 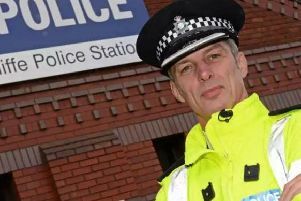 South Yorkshire Police has previously said resources would be met through a mixture of overtime and the use of trainee officers but added no units would be pulled from neighbourhood teams from outlying borough villages and towns. Additional police officers were funded by Doncaster Council to work alongside the council’s neighbourhood and town centre teams to patrol the town centre seven days a week from 7am to 10pm. The joint initiative has said to have provided over ‘1,000 hours of additional police presence’ in the town centre. The council also claim the joint partnership with the police, charities, business forum, Crown Prosecution Service and NHS, has resulted in reports to the police about begging being halved and anti-social behaviour reducing by a fifth. Chf Insp Jayne Forrest said: "The purpose of this joint partnership approach is that it’s not all about enforcement action. Doncaster Mayor Ros Jones said: “Although the issues we are facing are not dissimilar to those in other towns and cities across the UK, our approach is unique in that it’s a well thought through multi-agency response to some very complex problems. “I am committed to ensuring that everyone who needs it gets the right support to help them into healthier and safer lifestyles. In doing this, in Doncaster we aren’t just tackling part of the problem, we are working together to ensure we help the people and the place at the same time. Jackie Bailey, chair of Doncaster Town Centre Business Forum, added: “It is very encouraging to hear that the extra patrols which started in September, funded by the council, are to be extended. A campaign discouraging town centre visitors from giving money on the street to those who are begging was launched at the end of October. People are being encouraged to instead donate money via text to a new giving fund named Real Help Doncaster and the campaign has seen over £1,000 donated in the first month. The council has said the money will be used towards support in getting people off the streets and for the most vulnerable people in the community to get longer term help.